Passion drove us to where we are today. Through the years, we were privileged to meet artists that are not only talented but are also passionately living their dream. We are very honoured, that through our instruments, we get to be a part of their amazing journey. If you are a passionate musician, we would love to get to know you. Message us and let us weave our stories together. Stylistically defined as remarkably versatile, some would go as far to state, a natural born performer. Zarek’s unique dexterity in the art of shape shifting sounds has been described as simply outstanding by listeners. A spectrum of techniques mastered through a vast comprehension of genre specific qualities, grants his ability to seamlessly accommodate to each individual performance. 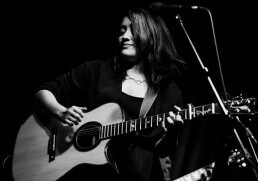 A captivating, critically-acclaimed award winning singer songwriter from Philippines, Julianne’s music is a wonderful blend of technical artistry & melodic accessibility that provides an alluring invitation to stay and dwell a little longer. She creates a musical atmosphere that is uniquely her own: moving, soothing & authentic. With messages of hope, love, faith, beauty & courage behind the music, she has been pegged as one of the most inspirational artists of today’s generation. 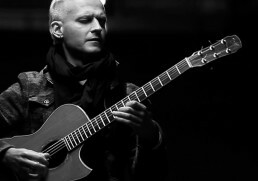 Piotr Restecki – a guitarist, and a composer. He began learning to play the guitar as a self-taught person. He continued his education at the School of Classical Guitar in the class taught by Jerzy Pikor. He also took master classes from some of the best teachers: Marco Tamayo (Cuba), Pavel Steidl (The Czech Republic), Tomas Pering (Germany) and others. 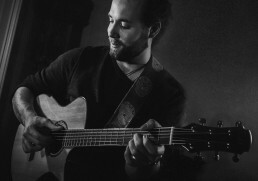 He is the winner of numerous competitions and has performed on one stage with many artists such as Tommy Emmanuel, Preston Reed, Jon Gomm, Andrzej Piaseczny, Krzysztof K.A.S.A. Kasowski, the Cugowski Brothers. 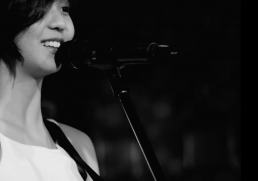 Talitha Tan is a singer/songwriter and fitness enthusiast born and bred in Kuala Lumpur, known for her endearing personality and hauntingly beautiful voice that captivates everybody’s attention, and makes even the busiest soul sit and take notice. A proud and firm believer of Malaysian music, Talitha has worked and collaborated with some of the best Malaysian and international artists such as Ali Aiman, Darren Ashley, SonaOne, Tatsuro Miller, among many others. Talitha’s heartfelt compositions on personal experiences, strummed through soothing guitarwork, caught the attention of a now rapidly-growing fanbase, earning her a nomination for the Best Female Artist for Malaysia English Top 10 (Met 10) Awards.